Reclusive North Korean leader Kim Jong Il was expected to meet top Chinese officials Tuesday during a visit to his country's main backer that comes amid growing tensions over the North's suspected role in the sinking of a South Korean navy ship. No official announcements have been made about Kim's visit, his first journey abroad in years. North Korean media typically report on his journeys after he returns home, and China's Foreign Ministry refused to confirm whether Kim was in the country. Kim was seen by reporters in the port city Dalian in northeast China on Tuesday getting into a car and then was driven away in a 10-vehicle motorcade. It was not known where he was going. The trip comes as China's leadership has been trying — so far unsuccessfully — to persuade North Korea's absolute ruler to reform his country's moribund economy and return to negotiations on ending its nuclear weapons program. Also hanging over the visit was speculation Kim's hardline communist regime may have torpedoed the South Korean warship in March. 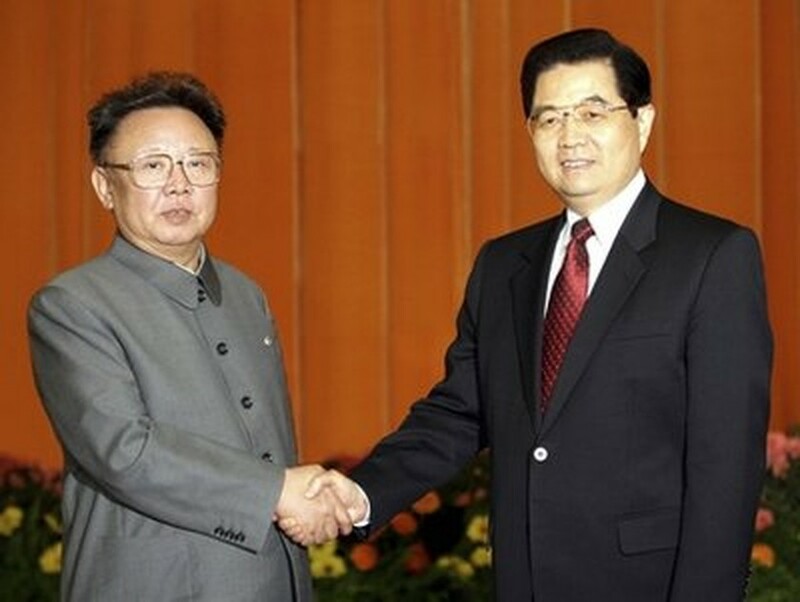 In this Jan. 17, 2006 file photo released by China's Xinhua News Agency, Chinese President Hu Jintao, right, shakes hands with North Korean leader Kim Jong Il, left, at Beijing's Great Hall of the People. In Seoul on Tuesday, President Lee Myung-bak said the sinking of the Cheonan was not a "simple accident," as officials inched closer to blaming North Korea for the incident, in which 46 sailors were killed. Lee ordered a thorough review of South Korea's military readiness and called North Korea's military "the most belligerent forces" while stopping short of directly naming the North as a suspect in the March 26 disaster. However, he made it clear for the first time that he saw a North Korean link in the sinking, which followed an explosion in disputed waters near the Koreas' maritime border. If South Korea declares Pyongyang responsible for the sinking, it could look to China to back new United Nations sanctions aimed at punishing the North. China likely would be reluctant to support such measures, fearing they could spark unrest on its border. Kim's visit may help reassert traditional ties between the communist neighbors, who once termed their relationship as close as "lips and teeth." In Seoul, South Korea's Foreign Ministry said it summoned Chinese Ambassador Zhang Xinsen Monday and asked Beijing to brief Seoul about Kim's visit. Separately, South Korean Unification Minister Hyun In-taek met with Zhang on Tuesday and called on Beijing to play a "responsible role" amid the North-South tensions, according to his spokesman Chun Hae-sung. Chun did not elaborate or say whether China was being asked to convey a specific message to Pyongyang. Kim traveled to Dalian on Monday after a luxury 17-car train carrying him pulled into the Chinese border town of Dandong, according to South Korean and Japanese media reports. After Kim left the five-star Furama Hotel on Tuesday, police briefly detained photographers and TV camera crews, including one from Associated Press Television News, at the scene and asked the camera crews and photographers to delete images and video. 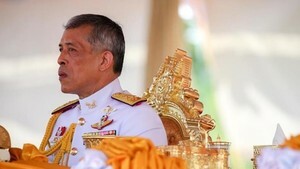 By Tuesday afternoon, security at the hotel was significantly reduced, suggesting Kim may have left. From Monday, the hotel had barred all other guests and hung white sheets over lobby windows to block the view from outside. Kim visited factories in an industrial zone, about 20 miles (30 kilometers) from Dalian, where Japanese and South Korean firms have operations, South Korea's Yonhap news agency said, citing an unnamed source. It also reported that Kim was headed to Jinzhou, where he would catch his train for Beijing. Kim is known to shun air travel. Seoul's mass-circulation Chosun Ilbo newspaper cited an unidentified diplomatic source in Beijing as saying Kim would meet top Chinese leaders, including President Hu Jintao, for talks in Beijing. Kim's visit comes at an awkward time for Beijing. The Chinese leadership has been trying to get Kim to agree to return to six-nation nuclear disarmament talks stalled now for a year, and believed that it had won the North Korean dictator's assent last October. Since then, however, prospects for negotiations have dimmed. Pyongyang has refused requests from the U.S. to resume the talks and withdrawn further into isolation. Rumors of a Kim trip, the first since he traveled to China in 2006 and the only the fifth since he took over power from his father in 1994, have circulated for months. China, which backed North Korea with troops during the 1950-53 Korean War, is North Korea's last major ally and biggest provider of aid, and is widely seen as the country with the most clout with Pyongyang. The timing of the visit comes as a U.N. conference opened this week to review the Nuclear Nonproliferation Treaty and explore ways to strengthen its controls on the spread of nuclear materials. China, a nuclear power, is a backer of the treaty, but is expected to come under pressure to get North Korea to comply. North Korea quit the disarmament-for-aid talks a year ago, and then conducted a nuclear test that drew tightened U.N. sanctions. The regime's botched currency reform aimed at regaining control over the economy late last year is believed to have worsened its financial woes. Kim is believed to be grooming his youngest son, Kim Jong Un, to succeed him as leader of the impoverished nation of 24 million.